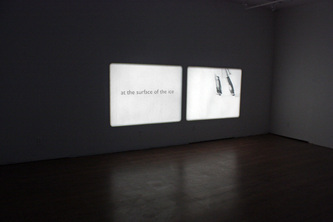 Glide is a looping dual-screen installation that meditates on ice skating as a personal experience of alchemy. 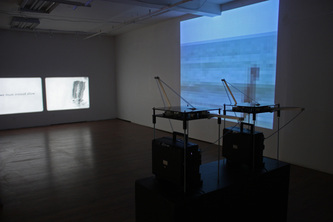 Glide contrasts the scientific with the poetic, asking the viewer to grapple with logical explanations of a physical experience or to surrender to its unknowable mystery. 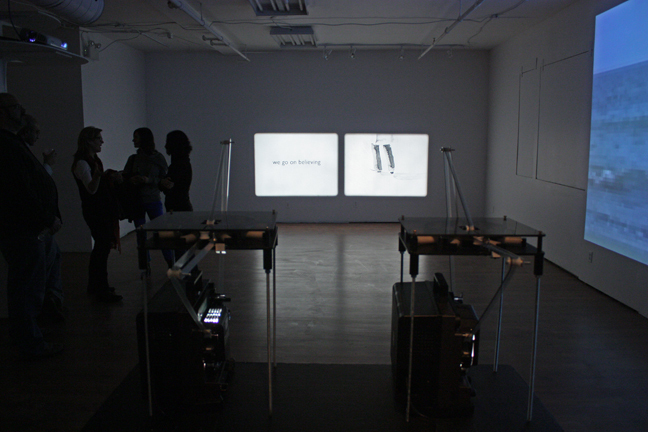 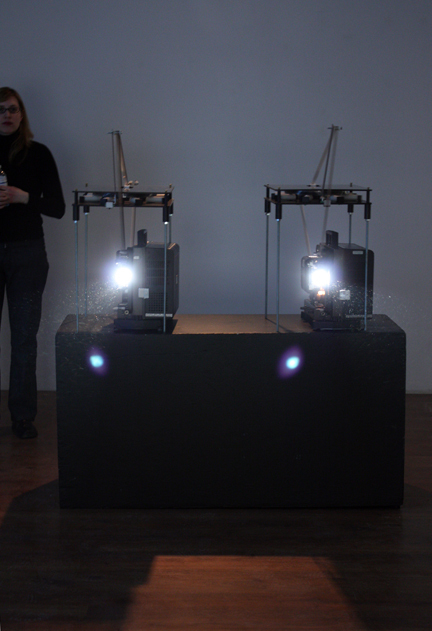 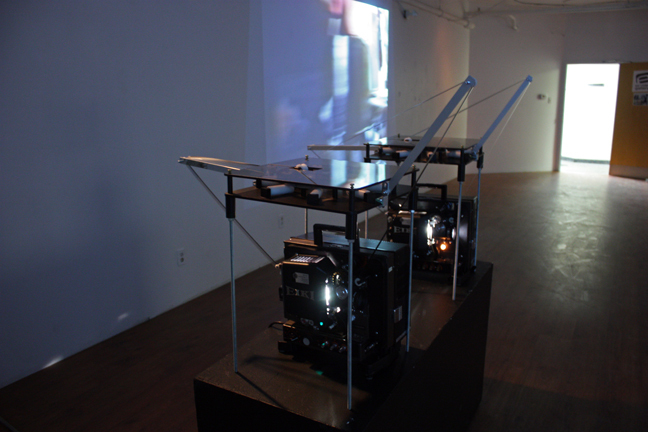 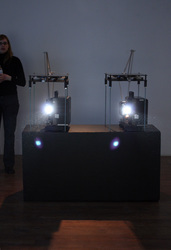 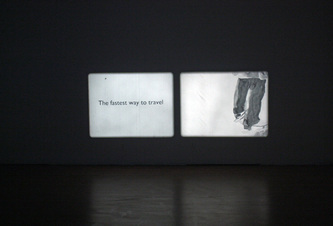 The installation consists of two 16mm film projections arranged side-by-side in the exhibition space. The right-hand projection is a loop of a lone ice skater. 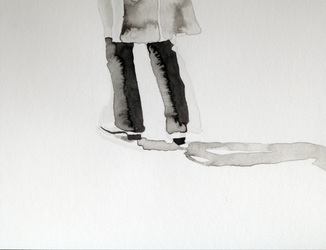 The skater appears on the crisp white ice, making her way around the oval of the rink and the loop of the film. 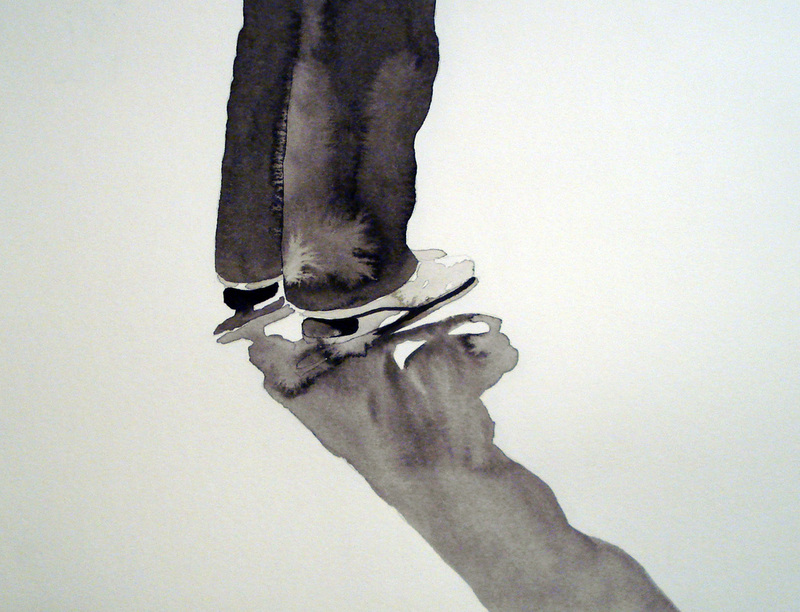 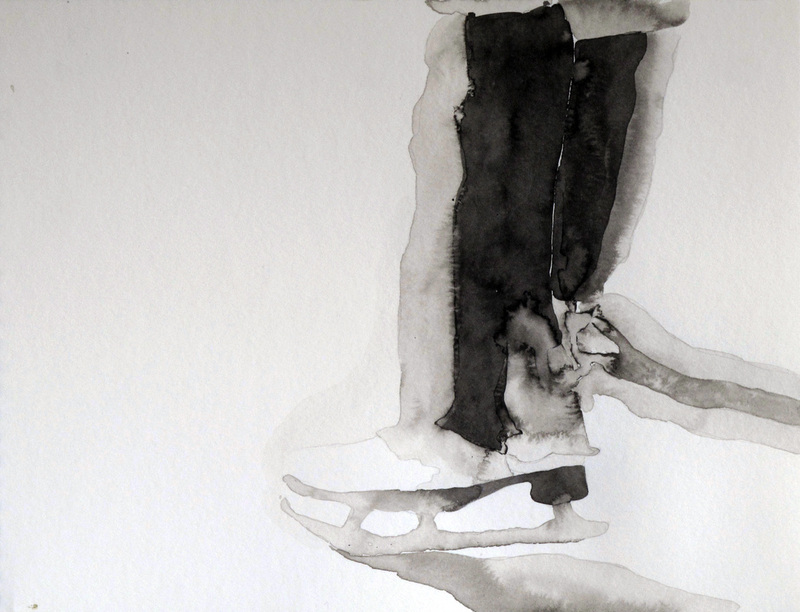 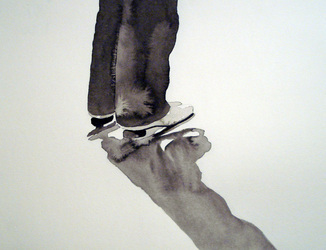 Drawn with India ink on watercolour paper, the fluid strokes of the skater’s motion echoes the watery brush strokes and the pools of dark glistening ink. 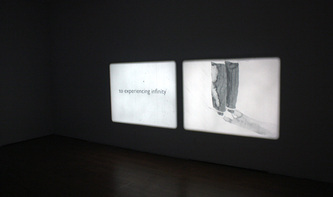 Over 300 drawings were created to compose the animation. 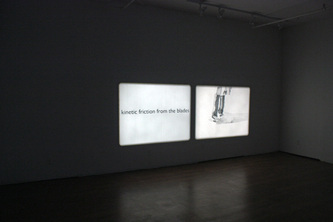 Each time around the rink/loop, the frame rate of the animation is slowed down thus extending the skater’s motions and revealing more details in the drawings. The left-hand projection is a loop of text, which begins by describing the dispute among modern scientists over how to explain the physics of skating. To this day, one camp believes that the pressure of the skates on the ice melts a thin layer of water that facilitate the gliding, whereas another group of scientists believe it is friction that causes the ice to melt. When the modern physics fails to explain the mystery of skating, the text moves into a description of skating as alchemy, where the skater’s body undergoes a transfiguration into a more beautiful state of movement and of mind. 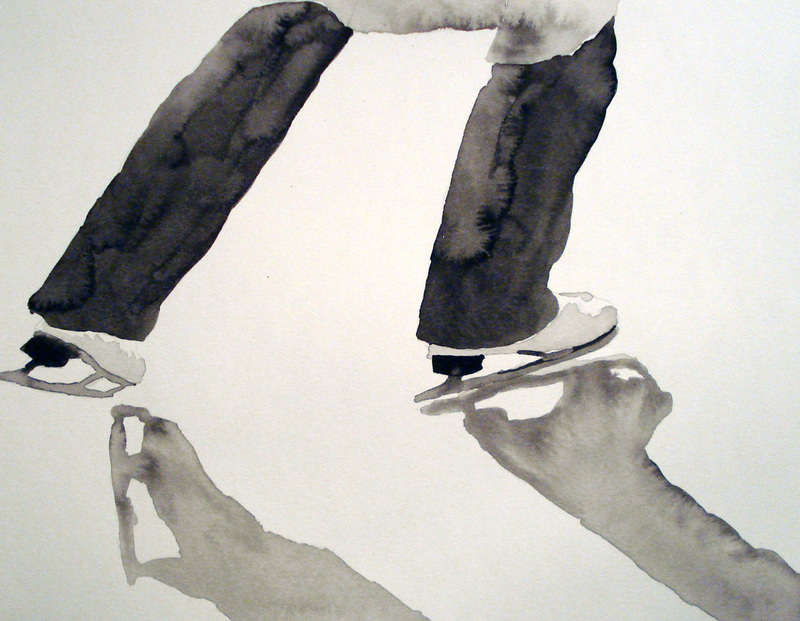 Physically, we defy the limits of human movement when skating, while the repetitive movement (around and around the oval skating rink) can be very ritualistic motion, leading the mind into a calm and open state. 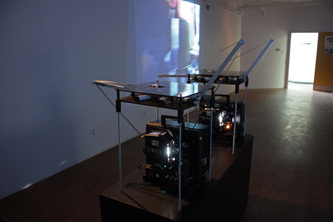 Glide was created with the support of a Liaison of Independent Filmmakers Production Grant.